The California Cotton Ginners and Growers Associations (CCGGA) and the Western Agricultural Processors Association (WAPA) are pleased to announce Jodi Raley has joined the organization as their new Director of Regulatory Affairs. Ms. Raley will be graduating from California State University – Fresno, with a degree in Ag Education – Communications this spring. Ms. Raley was born and raised in Tollhouse. Raley is a member of Alpha Zeta, and is the current Chancellor for the chapter at CSU Fresno. 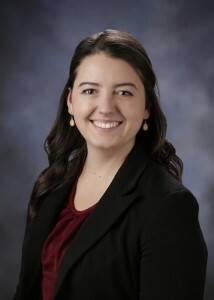 Raley has previously worked as an intern for the California Fresh Fruit Association and the California Olive Oil Council. Ms. Raley will officially begin her duties on March 31st on a part time basis and will begin full time following graduation. As the Director of Regulatory Affairs, Ms. Raley will be responsible for regulatory issues with respect to cotton growers and ginners, as well as the tree nut hulling and processing industries. Specific areas will include water, air quality, pesticides and environmental issues. The California Cotton Ginners and Growers Associations are voluntary dues-based organizations representing cotton growers and cotton gins throughout California. The Western Agricultural Processors Association is a voluntary dues-based organization, and represents the tree nut hulling and processing industry on regulatory and legislative issues ranging from energy and air quality to labor and food safety. All three organizations are operated and managed in the same offices in Fresno, California.